Faculty can now grant FACULTY180 access to their faculty ORCID profile. This will allow the faculty member to import data from ORCID to FACULTY180, as well as export data from FACULTY180 to ORCID. Refer to the ORCID Integration documentation for details. From the Admin tab, click Administration > Bulk Data > Upload Data. 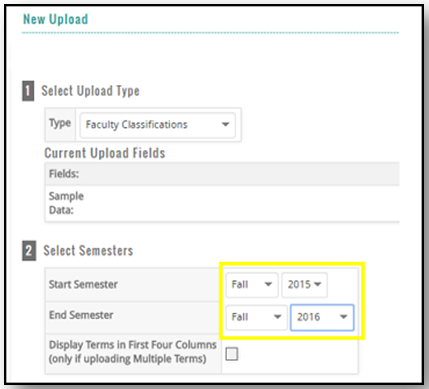 Select Faculty Classifications as the ‘Upload Type’. Specify the Start and End Semester. Note: Check the box to ‘Display Terms in First Four Columns’ if uploading data for multiple terms. Click Choose File and browse to locate the file to upload. Click the checkbox ‘File has Header Row’, if applicable. After the file is validated, click Upload to start the upload process. After the upload process is complete, you can view the details for the uploaded file. 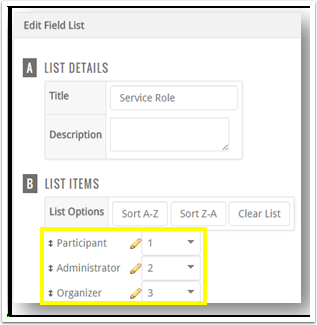 From the Admin tab, click Setup > Customize > Activity Classifications. 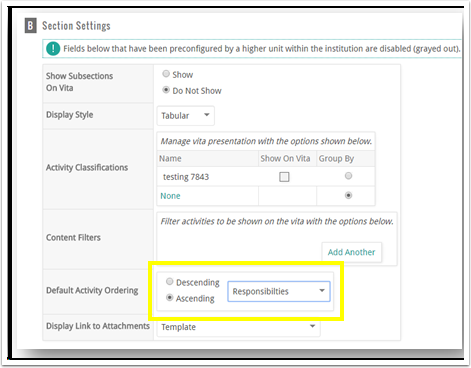 Either add a new Activity Classification or view an existing Activity Classification. From the Admin tab, click Communication > Custom Message. A new field has been added, Message Due Date. This field can be left blank to show no due date or can be filled in with a date that will appear on the dashboard. This new checkbox, ‘Send Copy to Me’, can be selected when rejecting an activity input. If checked, a copy of the email will be sent to the individual who rejected the activity input. 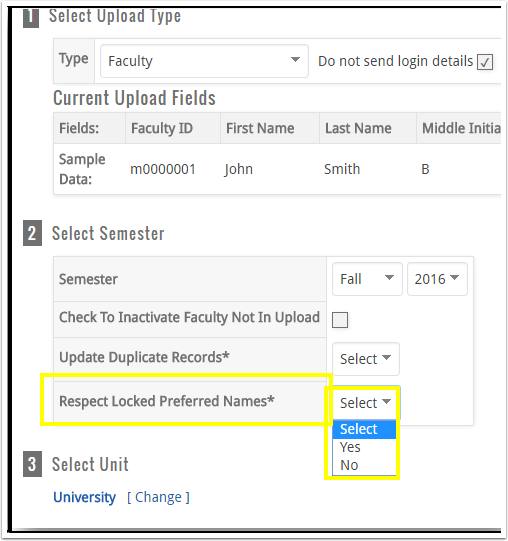 New interface in the Evaluation Process allows the administrator to designate the unit where the faculty member should be assigned. This feature applies to faculty members who do not have a proper assignment to levels in the workflow (i.e. faculty member is assigned to a college, but the evaluation step is at the department level). From the Admin tab, click Administration > Evaluation Process. Add a new Evaluation Process. Click the 'Workflow' radio button and select the workflow template from the 'Choose Workflow' drop-down. Once the faculty to be evaluated have been selected, click the ‘Primary & Secondary Unit Assignments’ drop-down. 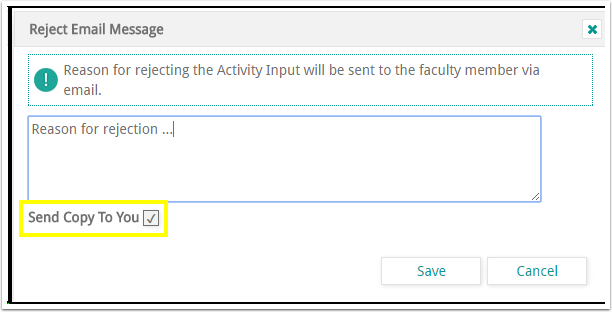 This will allow the unit to be selected for those faculty members that do not have assignments to lower level units used in the workflow. 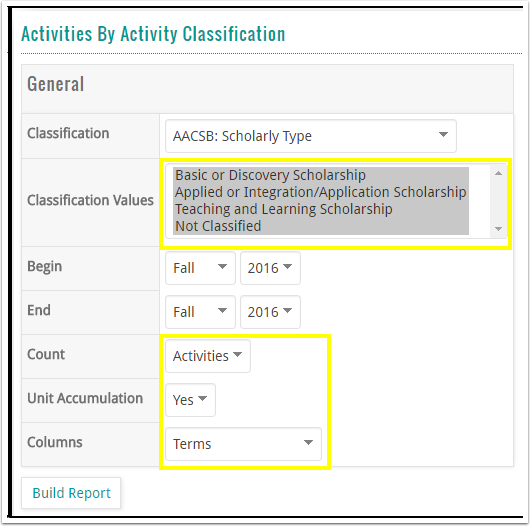 Both views display all columns set to display in the Teaching section (and in the same order) on the Activities form. The field to sort on and the order is defined in the configuration of the section on the vita (Setup > Configuration > Vitas > Edit a vita > Edit any custom section). Navigate from the Admin tab to Setup > Configuration > API Tokens. Either edit an existing token or add a new token. Scroll to the bottom of the page and select the Enabled checkbox under ‘POST:/users’. Note: POST is disabled by default. 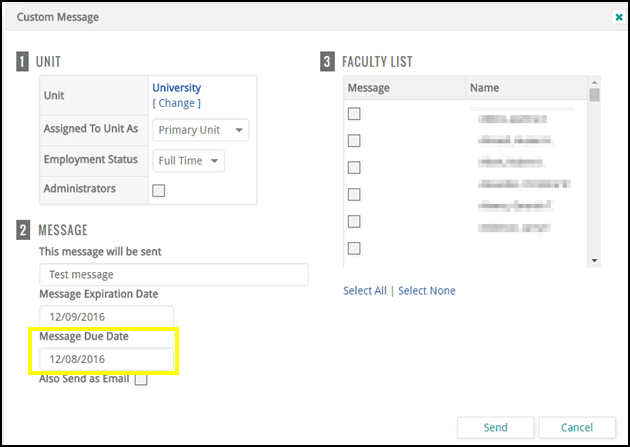 At the present time, basic faculty details (personal info) and faculty classification data are available for POSTing. 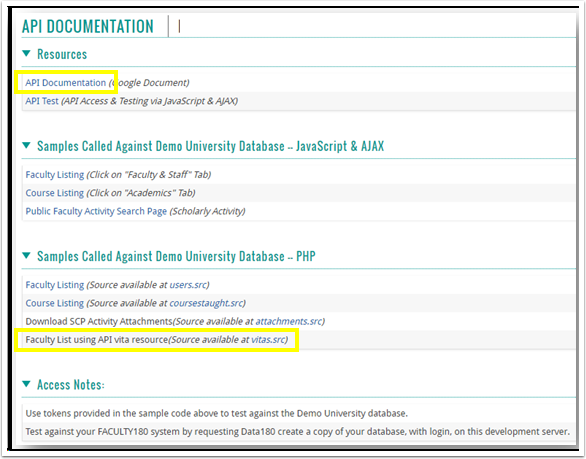 For additional details, refer to the 'API Documentation' available on the FACULTY180 API documentation web page. 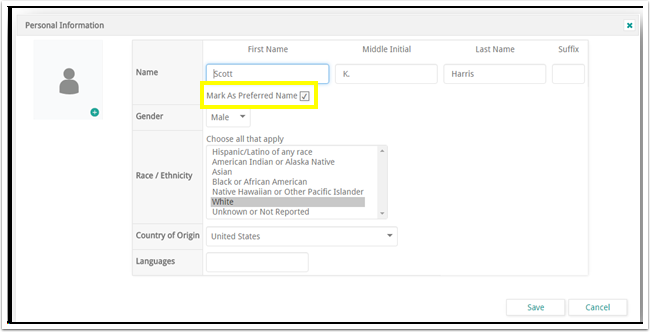 For faculty, a new checkbox, "Mark as Preferred Name", has been added to the Personal Information section. When this checkbox is selected, the name will not be overwritten when information is uploaded. The upload form will have an override, "Respect Locked Preferred Names” that will bypass the “Mark as Preferred Name” checkbox (if checked). If this option is set to “Yes” and “Mark as Preferred name” is checked, the upload will not overwrite the name. If this option is set to "No" and "Mark as Preferred name" is checked, the upload will overwrite the name. There will also be a warning on the Edit Faculty form when a preferred name checkbox is checked, warning administrators about this action.